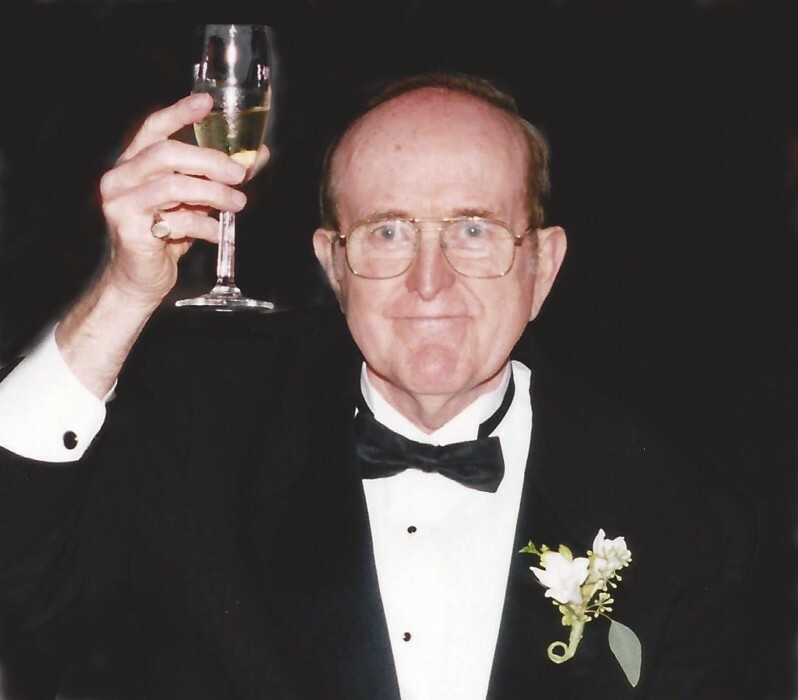 Charles R. Paquette, age 86, passed away peacefully in the Norwood Hospital on Saturday, April 13, 2019. Born in Fall River, Massachusetts on February 4, 1933, he was the son of the late Omer J. and Alice E. Paquette. He spent his early years in Fall River, before his family settled in Springfield, Massachusetts, where Charles graduated from Springfield Trade High School with the Class of 1952. Following graduation, Charles enlisted in the United States Navy, proudly serving his country during the Korean War. He was assigned to the Transmitter Station, three miles from the Anacostia Naval Air Station, just outside of Washington DC. While stationed in DC, Charles met his wife to be, Joan D. Kukowski, in 1954 at the Glen Echo Amusement Park in Maryland. It was truly love at first sight and they were married on January 15, 1955. After his assignment in DC was complete, Charles was assigned to the USS Samoset, serving at sea for a year. He was honorably discharged from the Navy in February 1957, after earning the rank of 1st Class Petty Officer. Charles and Joan settled in Massachusetts, making their first civilian home together in Wellesley Hills, where Charles took a position with Raytheon, working as a Junior Engineer. During his time at Raytheon, Charles attended Northeastern University’s Lincoln Institute in Boston, earning his associate’s degree in electronics engineering. Following his graduation in 1961, Charles took a position with Sylvania Electronics Systems (GTE), working as a senior specifications engineer. As a man who valued education, Charles bettered his skills by taking night classes at Northeastern University, focusing on industrial technology. He moved his young family to their home on Union Street in East Walpole where he raised his five children. In 1967, Charles returned to Raytheon in Bedford, Massachusetts, working as a specifications engineer, however he returned to GTE Sylvania in 1974. After GTE, Charles went to work for Stone and Webster Engineering in Boston, serving as a programmer/analyst through 1986, after which, he took his first contracting job with Honeywell, writing product assurance manuals. He also had an integral role in helping various organizations with the millennium date conversion. Charles retired in March of 1999. As an avid reader, in the 1960s. Charles picked up a book titled, “Hypnotism Revealed” starting his interest in Psychology. He read several other books on hypnosis and psychology, eventually becoming the president of the American Society of Research and Clinical Hypnosis in Boston. His interest in Psychology did not stop there, as he took several courses at the Wrentham Campus of Bristol Community College of Fall River, studying both general and child psychology. When he wasn’t hard at work, Charles enjoyed square dancing with Joan, with their friends in the Do-Si-Doers. As a devoted family man, he loved spending time with his children and grandchildren, always instilling in them how important it was to have fun. Charles was fiercely independent and loved to live his life the way he wanted to, and he did just that. Beloved husband of the late Joan D. (Kukowski) Paquette. Loving father of Suzanne M. Paquette of Foxborough, Laura J. Paquette of East Walpole, John H. Paquette of Waltham, Alice J. Paquette and her husband, Alexander Protopapas, of Brooklyn, New York, and the late Robert C. Paquette. Cherished grandfather of Nathan, Delphine, and Thales. Brother of the late Omer Paquette, Valentine Dumas, and Theresa Etterman. Devoted Godfather of Charlene Moscovici. Relatives and friends are kindly invited to attend Charles’ Life Celebration on Monday, April 22 from 5 to 8 PM and Tuesday, April 23 from 9 to 9:30 AM in the James H. Delaney & Son Funeral Home, 48 Common Street, Walpole. A Mass of Christian Burial will be celebrated in Saint Mary’s Church, 176 Washington Street, East Walpole on Tuesday, April 23 at 10:00 AM. Interment will follow in Saint Francis Cemetery in Walpole. There's still time to send flowers to the Life Celebration at the James H. Delaney & Son Funeral Home from 5:00 PM to 8:00 PM on April 22, 2019.